Dell continues to deliver high-performance laptops and desktops for families, multimedia professionals and businesses demanding power and performance for complex tasks and immersive entertainment activities. 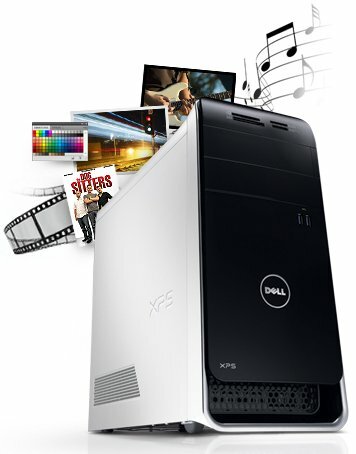 The XPS 8500 and Vostro 470 desktops are now available with Intel’s 3rd generation quad-core processors and the latest discrete graphics on Dell.com for professionals who demand high-performance technology. Additionally, Dell is expanding the laptop line-up with the Inspiron Special Edition series for families who desire enhanced multimedia capabilities. The Inspiron Special Edition 14R and 15R are available today in select countries in Asia. The desktop features 3rd generation Intel Core i5 and i7 quad-core processor options, powerful performance graphics options from NVIDIA and AMD, USB 3.0 for fast data transfer, mSATA solid-state drive options for fast application load and boot-up times, and large storage and memory capacity with options up to 3TB 7200RPM hard drives[i] and options up to 16GB 1600MHz memory[ii]. The Vostro 470 mini-tower desktop delivers the power businesses demand with the price they can afford. The Vostro 470 offers affordable style and performance that goes beyond basic computing to tackle intensive processor tasks like financial modeling, data mining, video editing, web development and graphic design[iii]. The desktop delivers commanding performance with up to 3rd generation Intel Core i5 and i7 quad-core processors with Intel Smart Response Technology[iv] for fast access to applications, discrete graphics options, USB 3.0 for fast data transfer, up to 2TB of storage[i] and 12GB of memory capacity[ii]. Easy expandability options allow the Vostro 470 to grow with a business. Critical security and support service options like Dell ProSupport and DataSafe Online Backup offer businesses peace of mind to concentrate on their business, not their IT. The Inspiron R Special Edition laptops are geared towards families and feature a sleek and durable anodized aluminum exterior, up to 3rd generation Intel Core i7 quad-core processor, powerful discrete graphics options ideal for photo and video editing and immersive gaming, optional high-resolution displays, backlit keyboards and mSATA SSD devices with Intel Rapid Start and Smart Response technology[iv] for fast boot and sleep resume times. The XPS 8500 and Vostro 470 desktops add to Dell’s growing portfolio of performance systems designed for the most-demanding customer requirements. Dell recently unveiled an enhanced portfolio of Alienware laptops, including the M14x, M17x and M18x laptops, each of which offer the latest Intel 3rd-generation quad core processors. Additionally, the popular Alienware X51 small form factor desktop will soon feature an Intel 3rd generation Core i7 processor option and high-speed 1600MHz memory. The enhanced Alienware laptop portfolio is designed to give gamers the ability to choose the system that best fits their gaming lifestyle. The XPS 8500 (starting at $749) and Vostro 470 (starting at $549) desktops are available now on Dell.com and at select retail stores nationwide. The Inspiron 14R Special Edition and 15R Special Edition laptops offering up to Intel’s 3rd generation quad-core processors are available today in select countries in Asia and will be available in more regions in the coming weeks. An expanded Inspiron line-up will be unveiled later this spring in time for the back-to-school shopping season.